We sat at his kitchen table and talked while he signed hats and his toddler daughter ran around. Twenty minutes later, we launched from his backyard onto a tiny private lake. 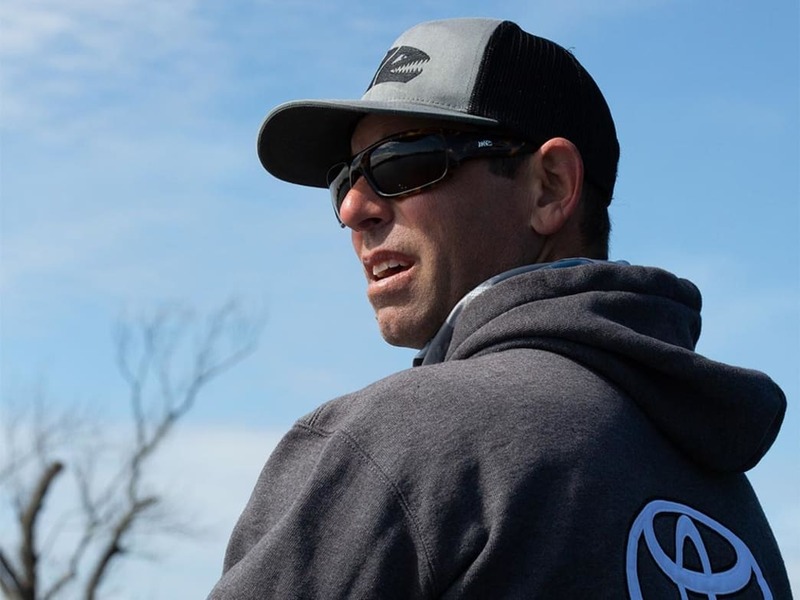 The idea was that Mike Iaconelli was going to give me a private lesson on pitching baits in and around heavy cover. There was just one problem: When you put Ike in the bow of a bass boat with a fishing rod in his hands, what he’s going to do is fish. Not teach you how to fish. Oh, he’ll talk to you over his shoulder—in intermittent rapid-fire bursts—but his mind is on the next cast and the one after and the one after that…. Still, nuggets of wisdom do float your way. He are a dozen, in Ike’s words—or at least as best as I could make them out. • Spring bass fishing has three parts: the pre- spawn, spawn, and post-spawn. While all happen at different times in different parts of the country, pre-spawn water temps are between 50 and 60. Spawning is between 60 and 65. The post-spawn is between 65 and 70. In any given lake, you can find fish in all three stages of spawning at the same time. As a general rule, the shallower upper end of a lake warms first, so that’s where things are furthest along. The lower end, being colder, is the opposite. 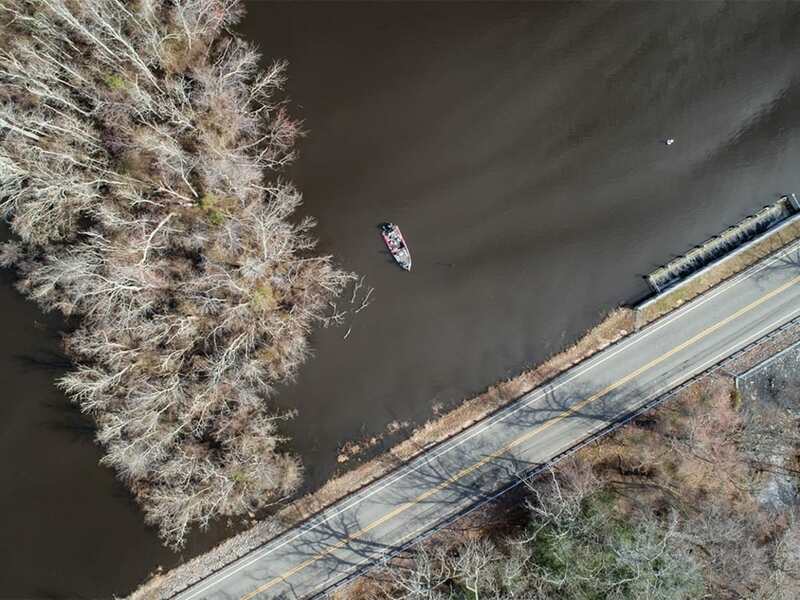 • For pre-spawn fish, look for staging areas. A great one is a secondary point. A lot of people don’t really know what this means. A primary point is an obvious, major point. Something that sticks way out. A secondary point is just subtler—anything along the shoreline that juts out a bit, like a small finger of land, a rock pile, or even a lone tree or dock that extends farther out than the others. These are overlooked hot spots during the pre-spawn. • The nice thing about fishing a jig in spring, as well as in summer, is the way it imitates a crawfish. I really like a black jig with a blue trailer. When a craw molts, its shell actually turns a shade of blue. That’s when it’s most vulnerable and attractive to fish. In water below 50 degrees, I go with a chunk-style trailer, like pork. It’s fluid but doesn’t have big action. Between 50 and 70 degrees, I want more action, maybe something with two tails that float up the way a crawfish’s claws do in a defensive posture. A Berkeley Chigger Craw is a good example. Above 70, I usually tie on something with lots of action, like a big single-tail grub or a bigger double-tail. • The spawn is my least favorite part of the cycle, probably because you have to fish slowly and patiently, which goes against my natural style. Also, I don’t enjoy yanking fish off beds, but you have to in tournaments. One thing you have to remember is that every single spawning fish has its own personality. So, you have to read each fish. I always rig three different-sized baits in three different colors to show to a spawning bass: something small like a finesse worm, something medium like a creature bait, and something big like a swimbait. The finesse worm might be neutral, watermelon, or green pumpkin. The creature bait might be a shock color like white or pink. The swimbait might be chartreuse, junebug, or purple. Because all fish are different, one might want that finesse bait barely moving and on the right side of the bed. Another might ignore that but want the creature bait hopped right in middle of bed. The next fish doesn’t want either. But that big swimbait slow-reeled in? She might crush it. You haven’t “burned” a bed until the fish leaves. If she swims away and comes back, you can often catch that same fish later. • When you see empty beds in the shallows, don’t despair. Post-spawn males stick around in the spawning areas for two or three weeks to guard fry. Look for what appears to be rain on top of the water. Little dimpling. That’s fry. Those males will be close by. As the post-spawn progresses, look for the big females on the first break of deeper water outside the spawning flats. In New Jersey or Florida, that might be as little as a 1-foot drop. Out west might be 20 feet. Contours are relative to a given water body’s total depth. • The post-spawn is my favorite time to fish topwater. The fish are tired, recuperating, and for some reason, they seem to like to feed up then. Like they’re looking for a big, solitary meal. That’s when I throw a Zara spook or Rapala Skitter Walk, something with that big side-to-side action. Man, I never get tired of seeing bass nail those baits. 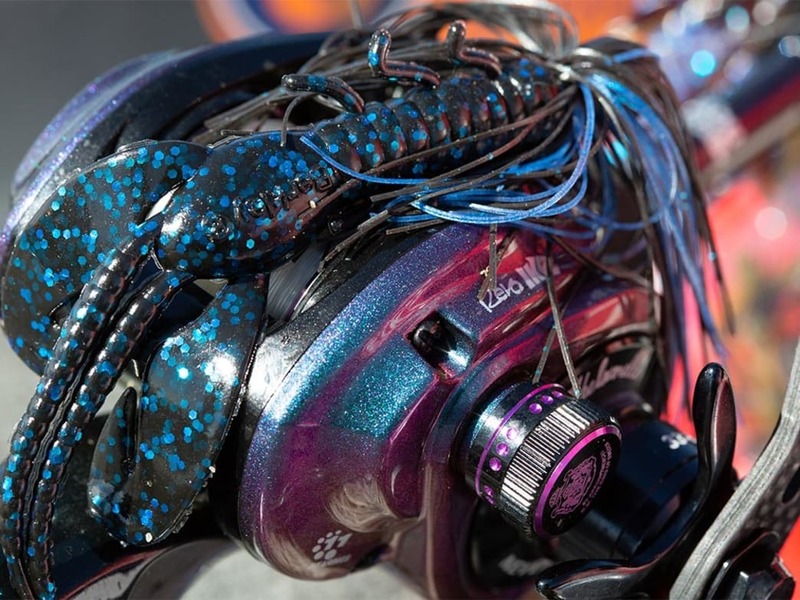 • No matter how good you are with a baitcasting reel, if you’re pitching your way down a weed line and you’re not getting at least some occasional backlash, you’re not fishing aggressively enough. 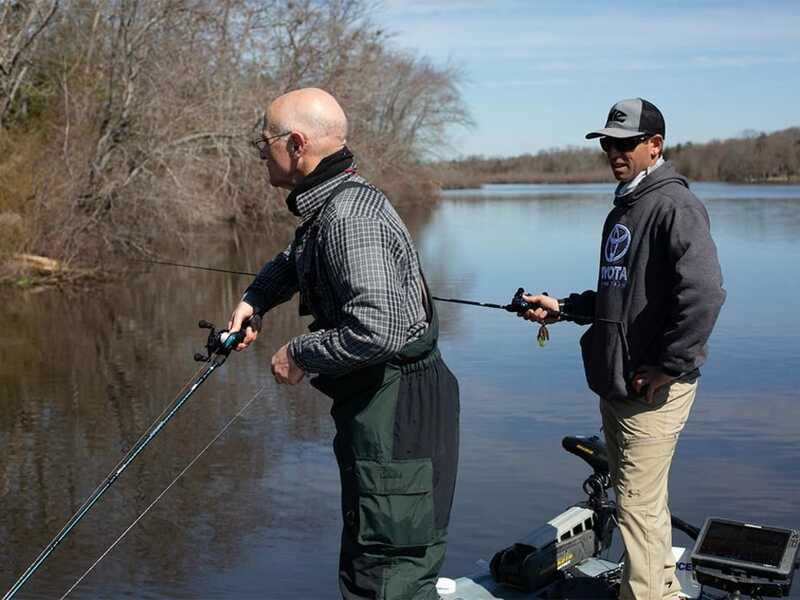 When a tangle happens, turn towards deeper water, make a long cast, clear your line, and get back at it. Same goes if you’re fishing a jig and it’s not getting snagged—or even breaking off—now and then. Error-free fishing is almost never winning fishing. • Any time the line does something weird, I set the hook. If the lure stops sinking after 2 feet in 5 feet of water, even if there’s no movement at all, I set the hook. Sometimes a big fish will just swallow a lure and not move an inch. What I’ve learned is that some of the biggest fish have the subtlest bites. So set the hook. Will there always be a fish there? No. But I tell you what: Better to look the fool than be the fool, you know what I’m saying? • All throughout the stages of the spawn, a floating worm can be a killer, killer tool. People forget about it. I like the Berkley Havoc Bottom Hopper or the Zoom Trick Worm. I use a 4/0 or 5/0 offset hook with a 6- to 8-inch straight-tail worm in bright colors, like white, sherbet, and translucent orange. I rig a barrel swivel between 10 and 12 inches above the hook and fish it like a jerkbait or a soft fluke. Slow twitches. Whether bass are moving up to spawn, on beds, or hanging out after the spawn, it’s a killer. And it’s a sleeper bait after spring too. Zoom trick worm Zoom Bait Co.
• I often color the last 2 or 3 feet of my fishing line with a black sharpie to camouflage it. It’s not my invention. One of those handed-down bits of wisdom. But I believe in it and do it. • What separates good fishermen and great fishermen is all between the ears. I don’t believe in accidental fish. I figure every fish I catch is telling me something. You have to be in the moment. I remember a day when every pro on the lake—including me—was pitching to the shoreline. My biggest fish of the day came when I cast to the opposite side of the boat to clear my line. That fish was telling me something. Most guys, even pros, do whatever has worked for them in the past. We fish according to what we think the fish should be doing, which means we’re fishing our own history. It’s human nature to do that. But it’s not the best way to fish. Instead, go out and try different stuff and start putting the puzzle together. The guys who do that the quickest are the winners. And even that changes from day to day. I can count on one hand the number of times that what I did in practice was what I did in the tournament. Every day, it’s a new ballgame. Written by Bill Heavey for Field & Stream.